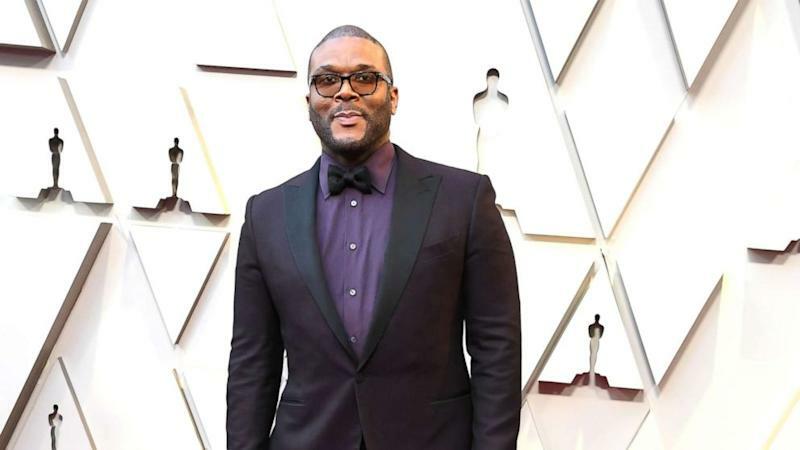 The family of a woman who was murdered Saturday in the Atlanta suburb of Alpharetta, Georgia received a surprise helping hand from film and TV mogul Tyler Perry. Forty-five-year-old Tynesha Evans, a single mother of four children, was shot and killed March 16 at a local Wells Fargo bank, allegedly by an "on-again, off-again" boyfriend, police said. Evans had reportedly fallen on hard times recently and went to the bank because her ex, who's been arrested for her murder, had offered to help her cover her rent when the family was threatened with eviction. Evans' daughter, Audrey Turner, said she almost didn't answer the phone when it rang. "[T]he person on the other end said, 'This is Tyler,'" Turner told WSB. "I said, 'Who?' He said, 'This is Tyler.' I said, 'Tyler who?' and he said, 'Tyler Perry.' At that point, I just broke down crying," she told the outlet. She is committed to finishing her education for her mother. "I'm going to do what she wanted me to do," Sharadiant told ABC News' Atlanta affiliate WSB-TV about her late mother. "She started me on math and now I’m going to get to graduate with a mathematics degree from Spelman College without debt, it means everything."